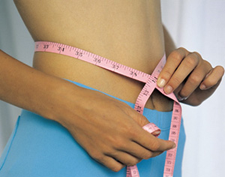 How much will the tummy tuck surgery cost? Dr. Suber and staff will explain in detail the risks associated with surgery. You will be asked to sign consent forms to ensure that you fully understand the procedure you will undergo and any risks or potential complications. If your abdominoplasty is performed on an outpatient basis, be sure to arrange for someone to drive you to and from surgery and to stay with you for atleast the first night following surgery. Medications are administered for your comfort during the surgical procedures. The choices include intravenous sedation and general anesthesia. Dr. Suber will recommend the best choice for you. 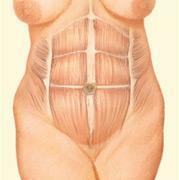 A full tummy tuck requires a horizontally-oriented incision in the area between the pubic hairline and navel. The shape and length of the incision will be determined by the degree of correction necessary. 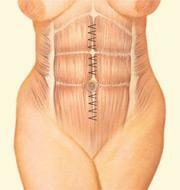 Through this incision, weakened abdominal muscles are repaired and sutured and excessfat, tissue, and skin is removed. A second incision around the navel may be necessary to remove excess skin in the upper abdomen. Your tummy tuck will result in a flatter, firmer abdominal contour that is more proportionate with your body type and weight. The final results may be initially obscured by swelling and your inability to stand fully upright until internal healing is complete. Within a week or two, you should be standing tall and confident abour your new slimmer profile. Following your surgery, dressings or bandages may be applied to your incisions, and you may be wrapped in an elastic bandage or a compression garment to minimize swelling and to support your abdomen as it heals. Typically, two thin tubes may be temporarily placed under the skin to drain any excess blood or fluid that may collect. You will be given specific instructions that may include: How to care for the surgical site and drains, medications to apply or take orally to aid healing and reduce the potential for infection, specific concerns to look for at the surgical site or in your general health, and when to follow-up with Dr. Suber. Dr. Suber is sensitive to the fact that cost is always a consideration in elective surgery. As such, our practice strives to make the tummy tuck surgery as affordable as possible. Details on any individual's costs are provided at the time of the consultation with Dr. Suber. Some health insurance plans may cover at least part of tummy tuck surgery if persistent symptoms are present that are not amenable to conservative treatment. You must carefully review your health insurance policy. Your candidacy for possible insurance assistance will be discussed in full at the time of your consultation.